Our Personalised To the Moon & Infinity... 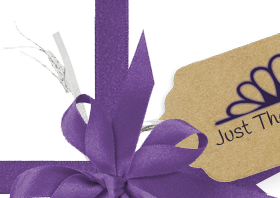 Mug is the perfect gift for a romantic occasion. 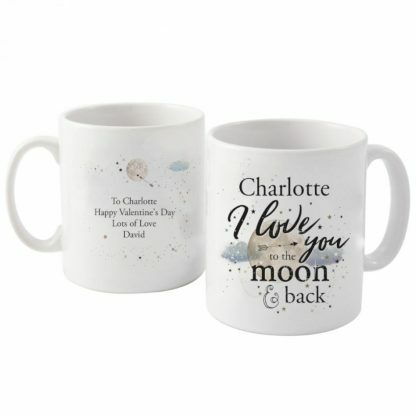 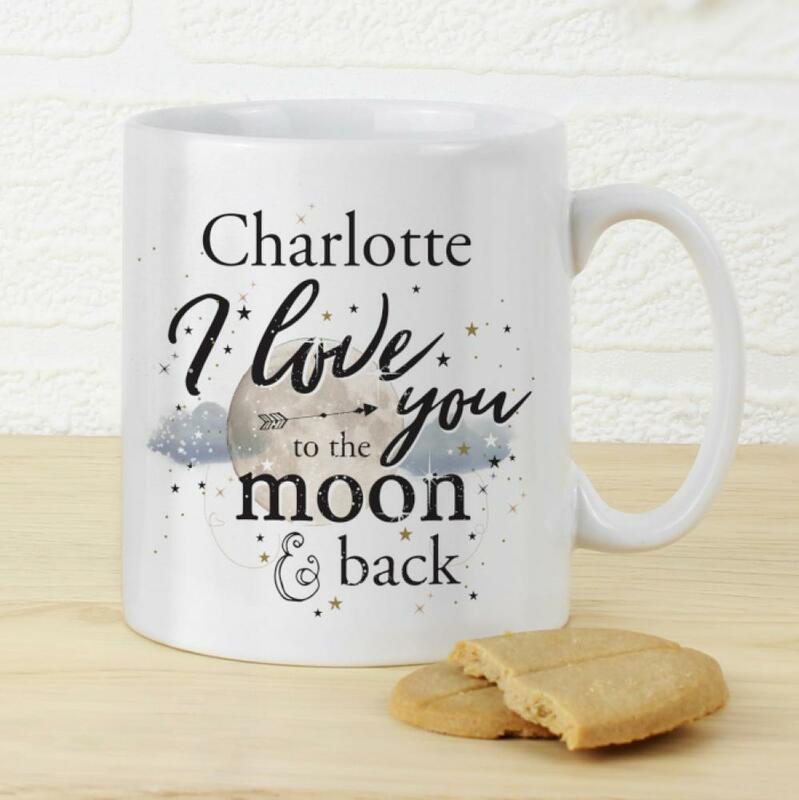 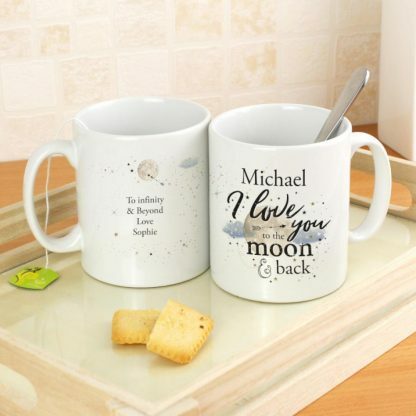 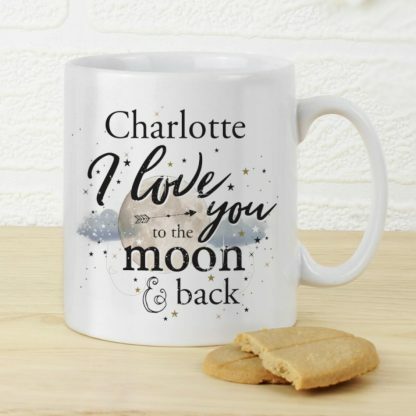 The words ' I love you to the moon & back' are fixed text and part of the design. 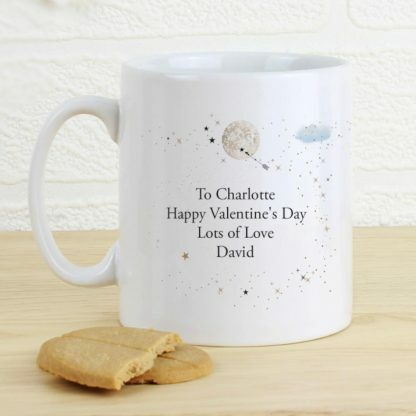 You can personalise the front of the mug with a name, plus on the reverse a message over 4 lines.